Not every woman is lucky enough to be blessed with beautiful thick eyelashes. Hence, a natural alternative like almond oil for eyelashes growth becomes handy. The fact that, most women feel as though they need to take extra measures to get that added boost. Lash extensions, lash dying, mascara or false eyelashes are a few of the options available on the market or at the salon. 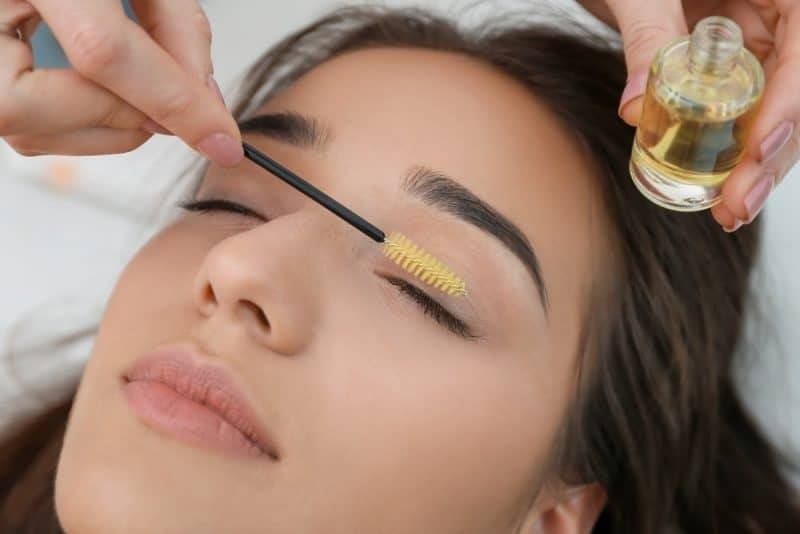 Having these treatments done periodically or buying the latest and most promising brand of mascara can end up being costly and time-consuming. As well as running the risk of using chemicals near your eyes! So, what if there was a natural alternative that promises to boost lash growth and thickness that you can do easily at home? You’d be interested, wouldn’t you? 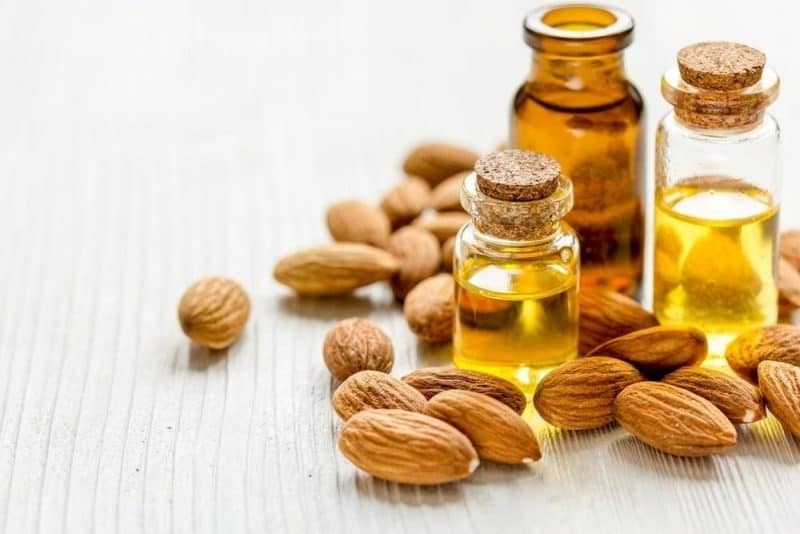 Almond oil is extracted from the ripe almond nut and the pure oil is generally extracted by using very little heat to keep the natural components alive and intact. We already know that nuts do contain healthy fats that are good for heart health and lowering cholesterol. They also contain a plethora of fiber, phytochemicals, vitamins, and minerals. So, by using almond oil topically, it is a great way to reap the added bonuses of this nifty nut! Almond oil can fester the growth and thickness of eyelashes or head hair. Learn the how this essential oil can benefit you. Almond oil is packed with vitamin E which is great for hair (either head hair or eyelashes!) A good dose of vitamin E can help strengthen and soften locks. It is rich in vitamin B7 which keeps hair robust against environmental factors– B7 is also good for nails so you can treat your nails at the same time as treating your hair! Almond oil contains a natural SPF 5 which protects from sun damage. It contains natural antibacterial and fungicidal properties which means it’s great for those who suffer from mild skin imbalances such as dandruff or eye complaints such as conjunctivitis. The oil is easily absorbed so any application can be done swiftly and efficiently, and you will also use less product too. 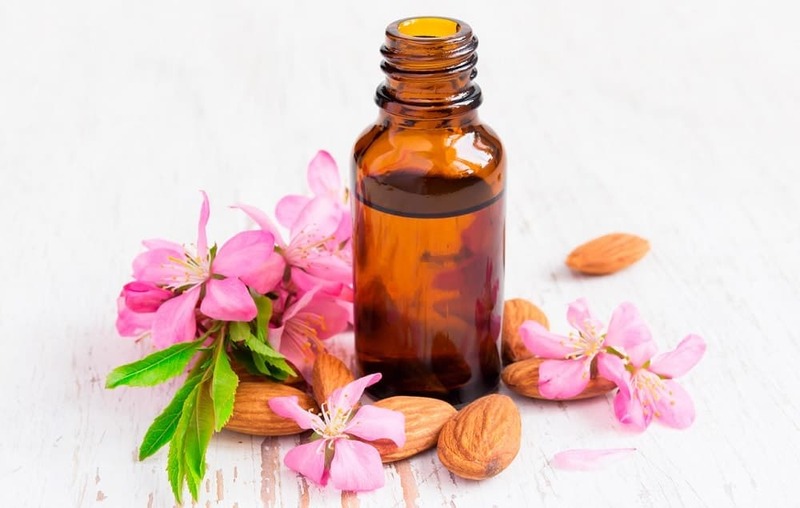 Almond oil is highly moisturizing so if you are using this oil on your eyelashes then you will note that any dry-eyes from computer use or from wearing contact lenses will improve. 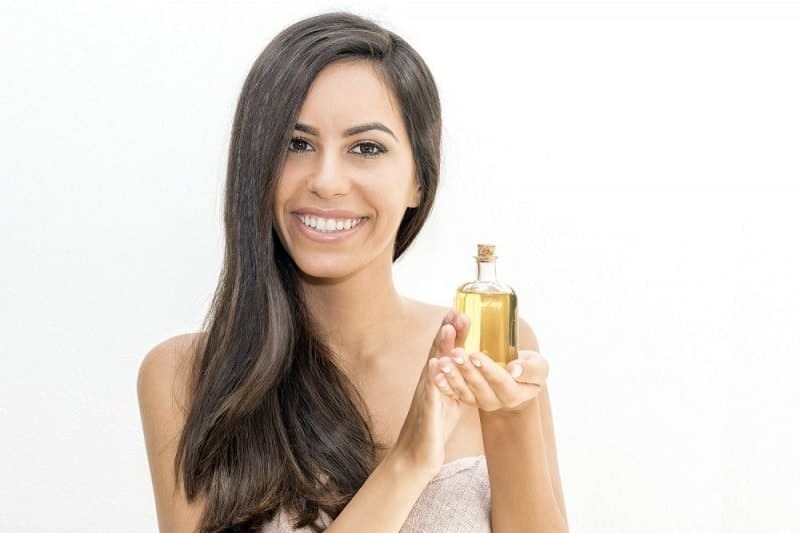 Almond oil makes a great cleanser so purchasing the oil means you can use it as an eye makeup remover and use it to boost your lashes all in one swipe. The best time to use almond oil for eyelash health is at nighttime prior to going to sleep. Carefully remove your face makeup along with any eye makeup ensuring that your lashes are clean and dry. Only use 100% pure almond oil and nothing which has been mixed with other elements or bases. Add a drop or two to your fingers and gently rub the oil across the lashes, focusing on the roots. If you don’t want to use your fingers you can use a cotton swab or lash comb. Leave the oil soak into the eyelashes overnight and remove with a damp cloth in the morning. You will start to see thicker and healthier lash growth after around 6-8 weeks of consistent use. Avoid getting the oil directly into the eye or being too vigorous when applying. Even when you have achieved your dream lashes, make sure you continue to use the almond oil on your eyelashes regularly to keep enhancing your lash health.